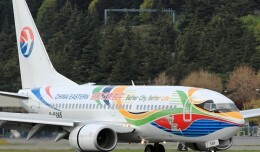 China Eastern Airlines has a new special scheme on a Boeing 737-700 that was captured by David Lilienthal at Boeing Field before being delivered to Shanghai. 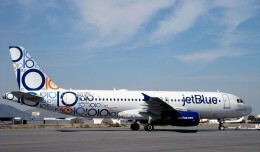 JetBlue has today unveiled what is their most unique and colorful paint scheme ever to celebrate their 10th anniversary! They also introduced their newest tail-fin that will adorn freshly painted and new aircraft.